Kids nowadays are so dependent on technology. We use more power and natural resources than we ever have and that's not going to start getting better unless we learn to make the necessary changes in ourselves and the way we raise our children. First and foremost I truly believe we need to start teaching our children how to survive without all the luxuries they have become accustom to - you just never know what could happen in the future. This is why I garden year round, sew as many things as I can, make as many of my own products, and use as little energy as I can. I also teach my kids how to do these things right along side me. 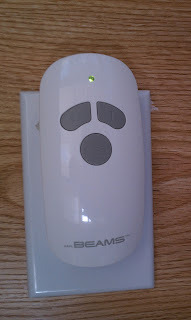 Thankfully there are companies available such as Mr. Beams™ which can help move your family in the right direction. 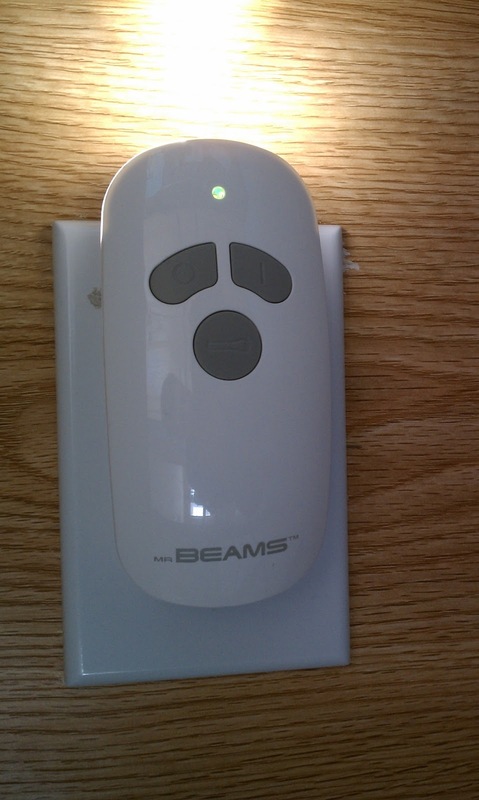 Mr. Beams™, Wireless Environment, and ReadyBright™ all founded under similar principals are working together to offer families affordable, wireless, and energy efficient solutions. After I discovered the awesome products they have available, I decided I had to contact them in hopes of sharing with all of you! Mr. Beams agreed to send me over their ReadyBright™ Starter House Kit (MB240) Wireless LED Power Outage Lighting System to review. This kit has actually been mentioned in Good Housekeeping Magazine as well as on The Today Show! The kit includes a ReadyBright Ceiling Light, a ReadyBright Step Light, a ReadyBright Flashlight and Power Outage Detector. Whats great about this set is that not only are all of these lights wireless but each light piece can instantly detects a power outage. You are provided with immediate lighting (step light and ceiling light). You also have access to a battery-free flashlight. We tested each of these products several times to see how well they really worked and to be honest never found a single situation where we were left in the dark! The kids even loved to torture the dogs with the flashlight in the dark as a regular evening game! Recommendation: $60 bucks can seem a little steep in price for only 3-4 products but when you have children and the power goes out you are going to want something that is an immediate solution. You don't want to have to run around and light candles while trying to comfort your little ones. I would recommend everyone having at least one of these kits in their homes just in case. Giveaway: Mr. Beams is going to give one of A Lucky Ladybug's very lucky readers a $25 Gift Code to buy something of their own! I like the Motion-Sensing Stick Anywhere Lights. I like that your blog is different. It features great giveaways, but also has helpful reviews and tips on living greener. Thanks. I like the Motion-Sensing Path Lights. I would like a set of Motion Sensing Stick Anywhere Lights. i would like to get Motion-Sensing Stick Anywhere Lights! I like the Motion-Sensing Step & Stair Lights. I would want the Motion-Sensing Stick Anywhere Lights. I like the Motion-Sensing Stick Anywhere Lights....Thanks!! 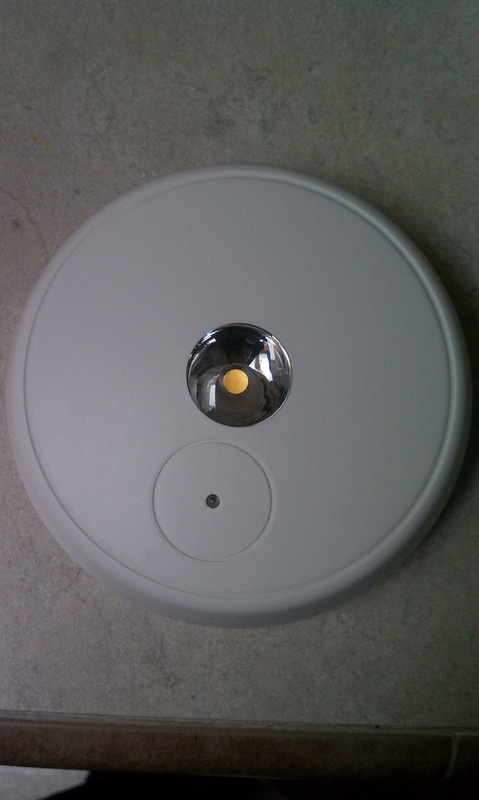 I would like to have the Motion Sensing Security Spot light in white. I like the motion detecting spotlights for outside and the outdoor security light. 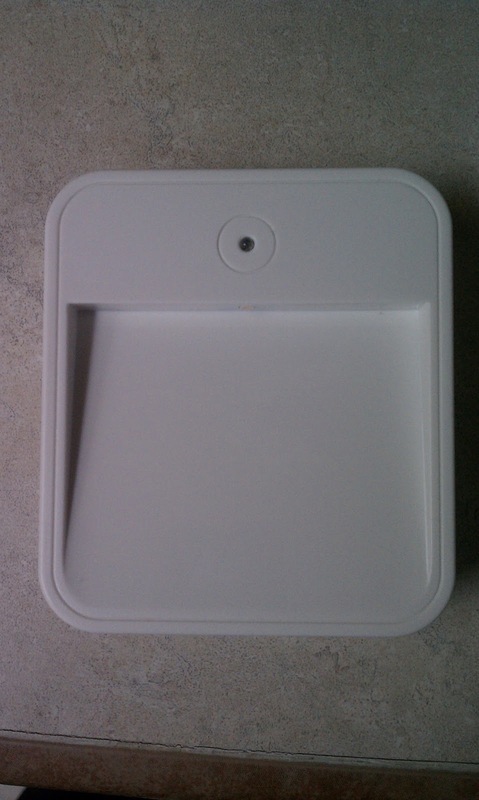 I like the Motion-Sensing Step & Stair Light (MB530). I'd like to have their Motion-Sensing Outdoor Security Spotlight. I don't have one right now, and this would make me feel better at night. I like your blog as is. It is easy to navigate and find what you want, and you have great giveaways. Thanks for all your hard work. I'd want the outdoor security spotlight! I think the header image could be sized more appropriately for the blog.